A thyroid cancer diagnosis can be frightening. Understanding exactly what is happening and the proper course of action is crucial to the best treatment possible. Pinpointing the issue early and quickly is one of the most important steps in this process. One technique that is becoming the primary method for thyroid cancer testing is Fine Needle Aspiration (FNA). A biopsy is typically the method used to find out if tissue is cancerous. Tissue is taken from the presumed affected area in a surgical procedure and then sent to a lab for analysis. With possible thyroid cancer, a core biopsy of the thyroid was the preferred method. The invasive nature of the procedure could sometimes be a challenge for certain patients. A biopsy of the thyroid is an important step in determining whether the gland is cancerous or not. The FNA procedure is the preferred method for many physicians in getting accurate results without being as physically challenging as previous surgical biopsy procedures. Studies show that the process has a false negative rate of less than five percent. The procedure is relatively simple and is fairly quick, as well. The doctor will insert a hollow needle into the thyroid tissue to obtain cells that will be used for analysis. The process will be repeated a few times in various portions of the nodule, so there is enough information to analyze in the lab. Once the fluid and tissue samples are taken, they are put on a slide to be viewed by a specialist under a microscope. A determination is made usually at this point to see if the thyroid is cancerous or not. The entire process, together with the analysis, is much quicker than the core biopsy procedure. Therefore, as a patient, you will know what the next steps are, if any, that need to be taken. If treatment is needed, then that can start sooner, as well. To aid the doctor in their thyroid cancer diagnosis, an ultrasound may be requested. The imaging that an ultrasound affords will provide evidence of whether the thyroid is fluid-filled or solid. The difference being that a solid nodule is more likely to be malignant. In addition, the imaging picks up all the nearby lymph nodes and thyroid nodules as well in providing a detailed guide as to where the needle should be placed for the Fine Needle Aspiration. The ultrasound together with a FNA biopsy can paint an in depth picture for a more definitive analysis. A FNA procedure is also used on cysts found on the thyroid. Since the cyst is fluid-filled, fine needle aspiration can be used to drain the cyst as well as have it analyzed for potential malignant cells. If a cyst is recurring, a FNA procedure may be used to inject the area with medication aimed at reducing the size of the cyst. 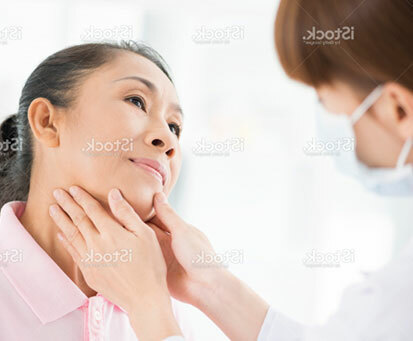 Fine Needle Aspiration used with imaging tests like the ultrasound can provide your doctor with the necessary tools to quickly and properly diagnose and treat thyroid cancer.